Time. It’s what you’re buying from your VA. And it’s the most amazing BOGO (buy one, get one) deal on the planet because it never expires! I amuse myself, but it’s true—whenever you buy one hour from her, you also reclaim one of your own. To look at that more closely, let’s shift how most people view delegation, which is that they have an hour of stuff they need to do, and they transfer it to the VA, reclaiming that hour for themselves. That’s the fast way to get stuff off your plate, for sure, but not necessarily the smartest way to approach it. 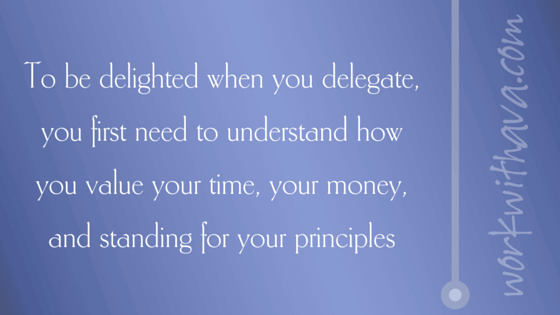 To get the most of the time you buy and the time you reclaim through delegating, you need a more systematic approach. To have a list of things to delegate, you first need to know what you currently do that you need to get off your plate so you can do more of what you need to be doing. Put pen to paper, dictate to a notes app on your phone, do whatever works for you, but keep it close and commit to using it for a solid week. Make a note of everything you do that needs to go. Be rigorous in considering things; if you think something needs to stay with you, ask yourself if that’s true, or if you have a limiting belief that continues to have to do things that leave you overwhelmed or unfocused. At the end of the week, you should have quite a list, but devote an extra hour to the task and ask yourself what monthly, quarterly, and yearly things you do that you could delegate. Add them to the list. Then, you need to look at your financial resources. Most of us don’t have unlimited financial resources, so we have to be smart about how we spend the time we buy. When I want to look at what’s on my plate so that I can make some decisions about how to make my work and life better, I use the Eisenhower Matrix, which you’ll also recognize if you’ve ready Covey’s The 7 Habits of Highly Effective People. I take the list items and put them in the quadrants where they belong, which helps me see what needs to be handled differently than it currently is. I like this tool because it gives me a clear and simple method to use to make decisions. Quadrant 3 is Not Important and Urgent—if you search the Google Machine to learn more about the Eisenhower Matrix, you’ll see that things in this quadrant are meant to be delegated. But my experience has taught me that there’s nothing in my life that’s both urgent and not important. When I first found the matrix, I noodled over this for years before I made peace with not needing this quadrant, which is something for you to consider for yourself. As an aside, given the popularity of the matrix (whether you know it because of Eisenhower or Covey), and the fact that it recommends you delegate things that aren’t urgent or important, it’s no wonder to me that so many people think of the work they give away as “crap they shouldn’t do,” or as “low-level” work. When you get rid of the need for this quadrant, I promise you’ll see what you delegate in a whole new light. Quadrant 4 is Not important and Not Urgent—same thing here. If things are not important and not urgent, why spend time on them, much less pay to delegate them? Quadrant 2 is Important and Not Urgent—ahhhh… the sweet spot where I spend the majority of my time, and 100% of the time I buy from my VA.
Once things are in the proper quadrants, I take the list items from the only quadrant that matters for delegating purposes (#2) and prioritize them. Then, I ask my VA for help in discerning how we’ll get them done if I’m unsure, and hand off to her the ones I’m certain about. I’m big on simplifying things, creating easy processes, and getting rid of anything (permanently!) that no longer serves me, my business, or those work with. What’s left over is generally what I ask my VA to take care of for me. It’s good to note that the terms the matrix uses are subjective. What’s urgent/non-urgent/important/not important to me may be radically different for you. If it’s important to you, it’s important. It doesn’t matter whether anyone else sees it that way—your life, your work, your way, right? The same thing is true, while we’re here, about urgency. Urgency only exists for you if you see something as urgent. The better you get at seeing urgencies as things that aren’t your problem, the easier it is to not be hooked by them. By and large, people value or place ultimate importance on three things: time, money, and principles. When there’s a principle at stake that matters to them, they go time and money blind, and will spend far more of one, the other, or both, than they would on something where a principle wasn’t involved. When a principle isn’t involved, people value time or money. When a principle isn’t involved, I value time far more than money. Partly, it’s because I know the dollar value of my own time, and I can look at something and say, “My doing that would cost $X for my time,” and then quickly decide whether I’m willing to spend my time that way. When I’m not, I give it to my VA to handle for me. But there’s a line for me, and there will be for you, as well. The thing that makes the difference is how much importance we each assign to individual things. For instance, one of my happy places is Serenbe, and, at Serenbe, the Inn. At the Inn during a recent visit, they had the most amazing (to me) reed diffuser sets, and I bought one to take home with me. When I needed more, I asked Nicole (my VA) to call and order them for me (important, to me—but not something I wanted to use my time to do). It turns out that they can’t get them anymore and are looking for a new vendor. They also don’t have a way to let me know when they find that vendor and the product is available again. Because this thing is important to me, I’ve asked Nicole to check in with them each month to see if it’s back in stock. But the more distance I get from having this diffuser in my home, the less important it will become to me, and the less time I’ll be willing to ask Nicole to put toward the follow-up on it each month. When I hit that mark, I’ll ask Nicole to stop. We are all so different. I’m sharing some of my own thinking in case it helps you get to your own. That matters because knowing what‘s important to you will also help you learn to consciously choose how to fill time so that you never feel like you’ve wasted it (or the money you used to buy it in the first place). I can offer you one bit of caution here. People who value money over time often lose sight of how much time they spend to try to save money. And that’s because saving money is a principle for them. Don’t let yourself be blind to the spend. At some point, no matter what currency you use, the spend makes no sense. For instance, let’s say your VA bills at $50/hour. And let’s say that one of the things you want to have done is have intake packets sent to your new clients. This involves some customization of the packet for the specific client, emailing it to the client, and following up to see that it was received and to answer any initial questions the client may have. And let’s say that that takes your VA, on average, 45 minutes per client to make that happen flawlessly on a consistent basis. Valuing money, you think to yourself, “I don’t want to spend almost $40 per client for this to happen. 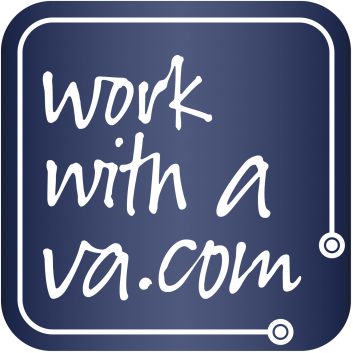 I need another solution.” So you decide to hire an agency in the Philippines to assign a VA do it for $6/hour. But you find yourself consistently having to explain something to that VA (or pay your other VA to deal with it), the timing you like is off (due to the time difference and her work hours), so you spend time thinking about it a lot and worrying about whether things are happening the way you want them to. Are you saving dollars? You bet. $6 is absolutely less than $40. But if you add the amount of your time you’re spending dealing with it and worrying about it, you would likely find that it’s more expensive than the $40 you would pay your VA to actually and completely remove it from your own plate. But thinking about this and planning and deciding—that all takes time, too, right? How do I think about that time? Yep—using the matrix, or whatever other decision-making tool or method you might use does take time. But my experience tells me that when you do it regularly, it takes less time, and is even more automatic than it probably sounds right now. It’s rather like a new exercise you can’t initially do, but that becomes far easier when you’ve worked the muscles needed to make it so. And your business and life will thank you for the investment. But this brings us to how you fill the time you reclaim by delegating. Again, it depends on what’s important to you. For instance, it won’t surprise you that I fill my reclaimed time with more life—not more work. One of my greatest joys is having a business that’s right-sized for me so that there’s enough of it (enough time to be of use to others, enough time to create, enough time for the occasional fascinating project, enough revenue and profit, etc.) while allowing me the vast freedom to work less and spend the rest of my time doing other things that contribute highly to my aliveness..
Maybe you aspire to something different. And so, you may fill your reclaimed time with a book you want to write, or more marketing, or creating new products and services to offer. It’s all good, I promise. Just choose consciously because time abhors a vacuum, and if you don’t fill it, the Universe will (and you might not like what it gives you). I’d rather see you be happy with the way you spend the time and have it contribute in some way to what matters most to you. For the list of things you’ll delegate, prioritize the list, and give it to your VA. If you have things in Q3 or Q4, be sure that getting her input about making them disappear forever is on the delegation list. Anything she can offer you that will improve what drains you is worth paying for. Consciously decide what to do with your lovely reclaimed time. Let me know how the planning and delegating go for you. And if you have questions or things to add to my list, I’d love to hear them!